Brendan Greene has defended PlayerUnknown’s Battlegrounds’ red zone from critics. In an interview with Eurogamer, PlayerUnknown himself explained the purpose the red zone fulfils. Here’s what we think of PUBG’s Savage map. PUBG’s red zone is a small, randomly-selected area of map that, at intervals throughout the game, is beset with mortar fire. If you’re hit by a mortar, it’ll be a pretty terminal experience, but the small odds of that happening mean that some players think the zone is a pointless addition to the game, and should be removed. Greene, however, disagrees. 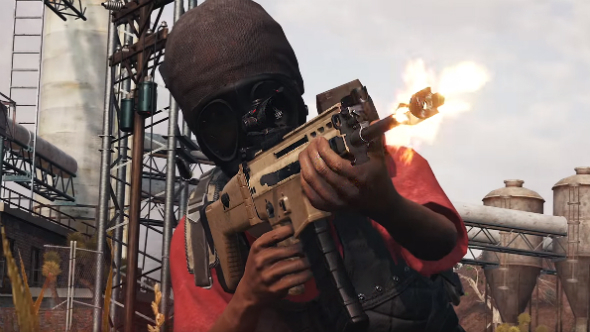 Despite his own love for the red zone, Greene says that “if there is an outpouring of hate towards it, we may consider [removing it from the game].” PUBG Corp recently took clothing drops out of the game after community feedback, despite players assuming he would avoid making changes to the existing format.